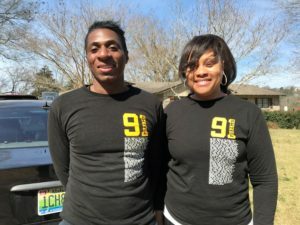 Every Friday morning for the past year, Darrien and Ashanti Dill come to the Grace Klein Community office and pick up food for 28 children of Brookville Elementary Back Pack Buddies Program. Darrien and Ashanti know firsthand what going hungry feels like. Darrien had just finished law school and was in an accident involving an 18-wheeler. He was in and out of the hospital for 3 years. After his recovery he could no longer practice law due to injuries he sustained in the accident. They ended up losing everything. He and Ashanti were living in their car. After a hospital visit, the doctor told them about Birmingham Hospitality Network, where 13 church host congregations would allow them to stay 1 week at a time for 8 months. There they had church members who would spend the night with them and tend to their needs. 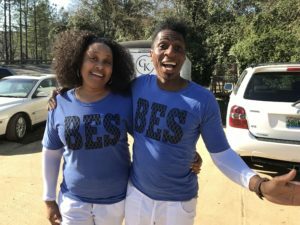 God used these people and programs to help Darrien and Ashanti get back on their feet and now they are able to help the Birmingham community in anyway they can. They started taking food to Brookville Elementary and met the principal (Mrs. Allen). Turns out, it was in Mrs. Allen’s church that Darrien and Ashanti had spent so many nights. She was one of the church members who would spend the night with them and tend to their needs! Now they are spreading the love and power of Jesus Christ everywhere they go. We are so thankful to know Darrien and Ashanti Dill and be a part of their ministry to Brookville Elementary and Principal Allen.